Birch plywood, sanded smooth, with clear satin lacquer finish applied, exposed plywood edges, satin black paint on horns. Volti Audio, makers of the highly acclaimed Volti Vittora horn loaded loudspeaker system, is proud to offer the Volti Rival, a 3-way, horn-loaded loudspeaker that offers high sensitivity, wide bandwidth and superb cabinetry in a compact and affordable format. Borrowing heavily from its larger and more expensive brother, the Rival uses many of the same internal components found in the Vittora. 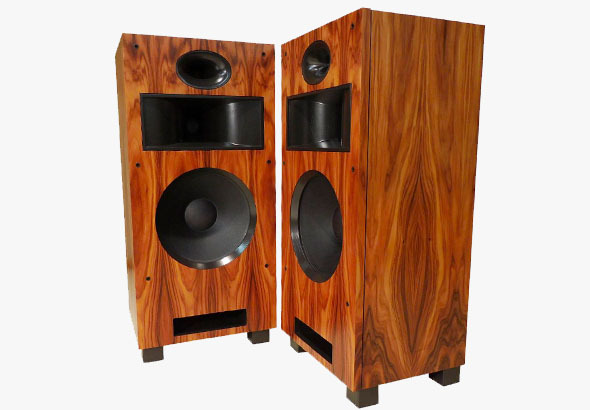 The characteristic “Volti Sound” remains intact, but in a loudspeaker that is one third the size and one third the cost of the Vittora system. Following in the tradition of all Volti Audio loudspeakers, the Rival is both highly sensitive and wide bandwidth – with a frequency response of 32Hz – 20Khz and a sensitivity of 100db/W enabling glorious, full range, tactile sound produced from as little as a handful of amplifier Watts. The Rival conveys the characteristics that make live music compelling and engaging: the tone and timbre of instruments and voices, the drive and force of the tempos, the dynamic swings from soft to loud, and the intensity and excitement of a real live musical performance. They can be positioned against a wall, in a corner, or pulled out into the room. Powerful and highly directional, the Rival is capable of filling a very large room, but will also work in an intimate, near-field setting. 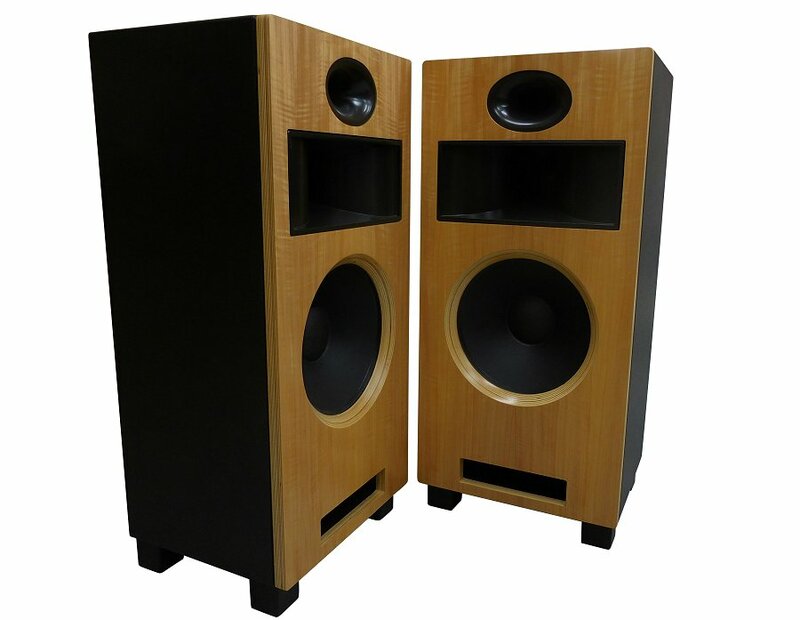 It is front ported, to allow the greatest flexibility in placement, since the port does not rely on, nor is affected by walls behind or beside the speaker. Adjustments to the crossovers allow the user to tailor the sound of the speaker to their system, room, or liking. Easy rear-panel access allows you to insert various high-quality resistors in an L-Pad configuration to attenuate the midrange and the tweeter.